The Institute of Cardiovascular Medicine and Science (ICMS) is a world-class body drawing on the combined clinical expertise of its founding partners, Royal Brompton & Harefield NHS Foundation Trust and Liverpool Heart and Chest Hospital NHS Foundation Trust. Supported by our academic partners Imperial College London and the University of Liverpool the Institute is the first of its kind in Europe, delivering clinical research programmes that translate directly into clinical practice. Our research aims to improve outcomes for patients with coronary heart disease, heart failure, arrhythmia, congenital and inherited heart disease, and diseases of the aorta and valves. We are developing research to deliver the best possible patient health, through advances in diagnosis, management and treatment. Attracting international leaders in the field, the ICMS enables clinical staff to have access to education and training that is at the forefront of innovation in the delivery of cardiovascular care. Both the research produced, and education provided by the ICMS will directly influence the way future cardiovascular services develop for the direct benefit of our patients. To learn more about us, please click here. The ICMS is research active with numerous trials currently on going. View the latest events on offer here. Find out more about the ICMS partners here. View our latest ICMS and industry news here. The underlying philosophy for the Institute is that it will be ‘academically led’ but ‘clinically driven’. It provides an exciting opportunity to pool the expertise of cardiovascular clinicians from two major centres together with international leaders in the field of cardiovascular medicine, to head up our ambitions. As a result, we will be able to both further the education and training of the next generation of specialists in cardiovascular medicine by enabling them to undertake ground breaking research and educating each other in best practice. This research will provide us with the benefits of doing things differently and we can use those findings to develop new and improved services. Sharing best practice through the ICMS. ICMS Annual Symposium 2018 is a great success! 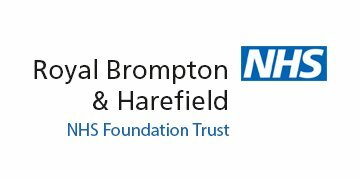 Dr Babu-Narayan of the Royal Brompton Hospital appointed Associate Medical Director for British Heart Foundation.